Senior Adelina Montoya (right) was excited to test out the latest convection ovens and compare them to traditional ovens. Andre Saldivar (right) instructs students as they chop vegetables for pizza toppings at SCE's Foodservice Tech Center. Thirty students from Bonita High School in La Verne toured SCE's Foodservice Technology Center in Irwindale. 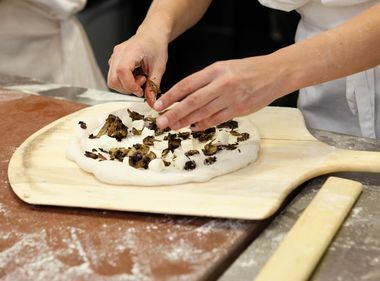 Students prepare meat and vegetable toppings for their pizzas before cooking them in high-tech, energy-efficient ovens. 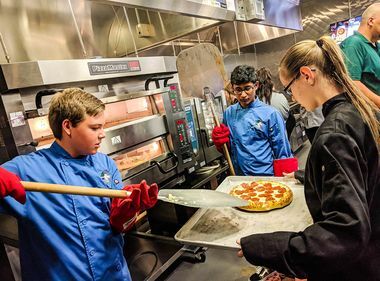 Students prepare pizza and spaghetti on energy-efficient appliances on their visit to SCE's Foodservice Technology Center. Andre Saldivar shows students energy-efficient equipment like the turbo pot, which can boil water in half the time of a traditional pot. The high school students test out energy-efficient appliances that can help save power and costs as they enter the restaurant industry. IRWINDALE, Calif. — Adelina Montoya, 18, has always loved to cook. As a sophomore at Bonita High School in La Verne, she was part of a team that won “best entrée” in a cooking competition and her passion was solidified. In the fall, she will head to Cuesta College in San Luis Obispo where she will pursue a degree in food science. “I like the whys behind the food,” she said. Montoya is one of 30 culinary students from Bonita High School who recently visited Southern California Edison’s Foodservice Technology Center in Irwindale as part of the California Restaurant Association Foundation's ProStart program. 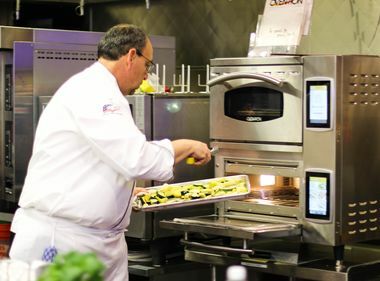 In addition to learning about the latest energy-efficiency appliances, they cooked pizzas, boiled spaghetti and baked cookies — all on high-tech, restaurant-grade appliances. “I’m really interested to see how these ovens perform over the more traditional ones,” said Montoya. 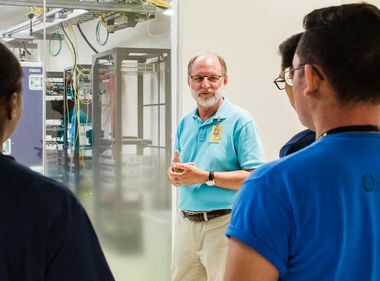 As the students gathered in the Foodservice Technology Center, the latest convection ovens were just some of the wall-to-wall, energy-efficient appliances on display. There were rapid cook ovens that use microwaves and convection to cook frozen pizzas in one minute instead of the usual 10. Filtration systems that are 20 percent more efficient provide a clean taste to the water and help prevent calcium buildup. At the front of the room, a restaurant-style kitchen is set up. On the stovetops are turbo pots that use electromagnetic energy to boil water in half the time of traditional pots. Induction range tops help create “instant heat.” And on the side is a large, two-tiered pizza deck oven. As hundreds of restaurants open each year across the country, the majority do not make it past the first year. A large reason: small profit margins that can’t keep businesses afloat. This is where energy-efficient appliances can play an important role. “We want to put these tools in their hands as they go out into the real world,” said Saldivar, who also shared the different rebates offered by SCE when purchasing energy-efficient equipment. When Erin Mascho, 28, was in high school, her dream was to work as a cook at Olive Garden. At 15, she took part in the ProStart program and eventually earned a degree in restaurant hospitality at Cal Poly Pomona. Today, she is director of development at the California Restaurant Association Foundation. “I learned pretty quickly that I wasn’t cut out for the kitchen, but I fell in love with management and the business side of the food industry,” she said. She knows the role energy-efficient appliances can play in helping restaurants save money and energy. Jason Schiller, 18, a ProStart participant, will be heading to the University of La Verne in the fall to study business administration and hopes to one day open a restaurant with Southern-style comfort food. He was drawn to the culinary arts because of the creativity it offered. Now, he’s learning how energy-efficient appliances can help his future restaurant succeed. “We will need better equipment to save energy and save the resources we need,” he said. For more information on the Foodservice Tech Center: www.sce.com/energycenters. For more information on appliance rebates: www.sce.com/restaurants.